Satisfy your appetite for dinner at Cajun Quarter Restaurant, a restaurant which specializes in American cuisine, or stay in and take advantage of the room service (during limited hours). Unwind at the end of the day with a drink at the bar/lounge or the poolside bar. For your convenience, a complimentary breakfast is served daily from 7 AM to 10 AM. When you step into your Florida vacation rental, you’ll know you’ve found your new vacation home! Our family-friendly resort is right next door to the Walt Disney World® Resort and nearby many Orlando attractions. Enjoy spacious hotel-suite/condo-style studios, and one, two, and three-bedroom villas from 430 to 2,475 square feet complete with living room and washer/dryer. Studio washer/dryers are located on each floor. Prepare great family meals in your kitchen which includes tableware and cookware. Upgrade from the ordinary with a luxurious Signature Collection two-bedroom villa in River Island. WiFi, parking and an internal resort shuttle are free to all guests!Our sprawling resort near Disney is a perfect alternative to Orlando area hotels. We have so much more to offer! 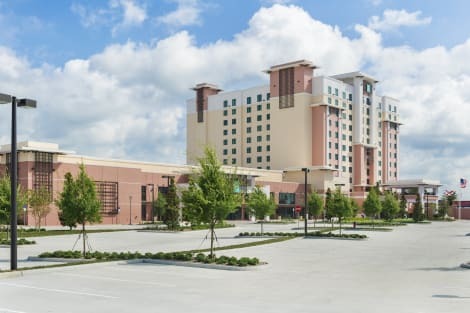 You’ll love our 8 different restaurants/dining options, 7 pools including water slides and a lazy river, four golf courses, three arcades, three fitness centers, two mini golf courses, daily activities in the kid’s center and more. The best Orlando theme parks and attractions are an easy drive away. Enjoy Disney Springs shopping and dining options including Planet Hollywood and House of Blues. Plus, Epcot, Disney’s Animal Kingdom and more. Universal Studios Florida™, Universal’s Islands of Adventure™, plus the new Universal’s Volcano Bay™ water theme park are also guest favorites. Add SeaWorld® Orlando, Aquatica, and LEGOLAND® and you’ve got an incredible vacation getaway. With a stay at Sulaf Hotel LBV South in Kissimmee, you'll be within a 10-minute drive of Old Town and Medieval Times. 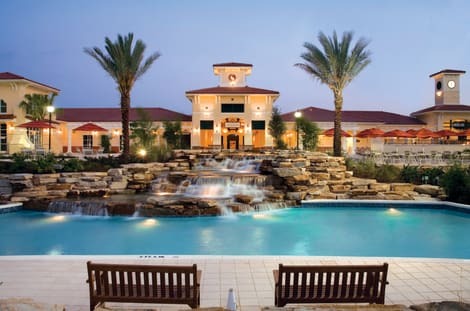 This hotel is 3.3 mi (5.3 km) from ® area and 5.3 mi (8.5 km) from Orlando Vineland Premium Outlets. Dip into one of the 2 outdoor swimming pools or enjoy other recreational amenities including a health club and an outdoor tennis court. Additional amenities at this condo include complimentary wireless Internet access, concierge services, and an arcade/game room. If you're planning a day at a nearby theme park, you can hop on the complimentary shuttle. With a stay at this apartment in Kissimmee, you'll be within a 10-minute drive of Old Town and Medieval Times. 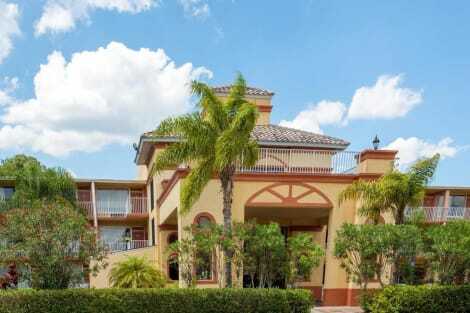 This apartment is 3.8 mi (6.1 km) from ® area and 5.8 mi (9.4 km) from Orlando Vineland Premium Outlets. Be sure to enjoy recreational amenities including an outdoor pool and a fitness center. This vacation home also features complimentary wireless Internet access, an arcade/game room, and barbecue grills. Treat yourself to a stay in this individually decorated villa, which features a private plunge pool and a flat-screen TV. A kitchen is outfitted with a stovetop and a dishwasher. Cable programming along with a video-game console are provided for your entertainment. Conveniences include a washer/dryer and a ceiling fan. 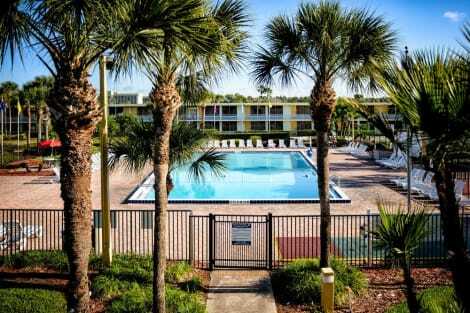 lastminute.com has a fantastic range of hotels in Kissimmee, with everything from cheap hotels to luxurious five star accommodation available. 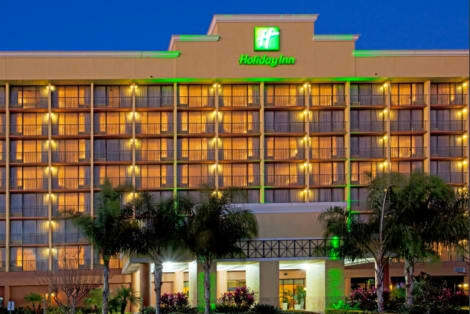 We like to live up to our last minute name so remember you can book any one of our excellent Kissimmee hotels up until midnight and stay the same night.